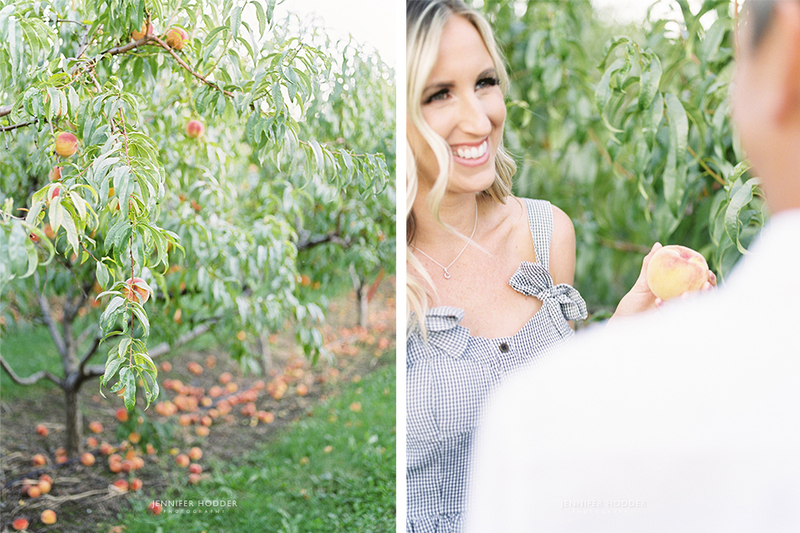 I have wanted to photograph an engagement shoot during peach season for a while now and Stesha & Stephen gave me the opportunity to do so this fall. 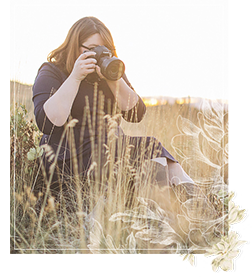 Stesha is a fashion blogger and a fellow photographer here in the beautiful orchard & winery filled Okanagan. 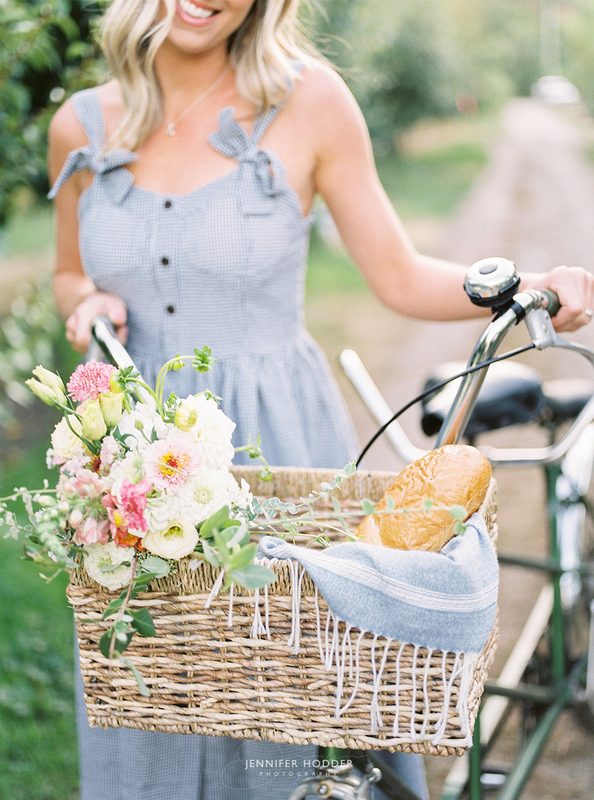 I truly believe you can never go wrong with a little touch of French inspiration in any shoot. 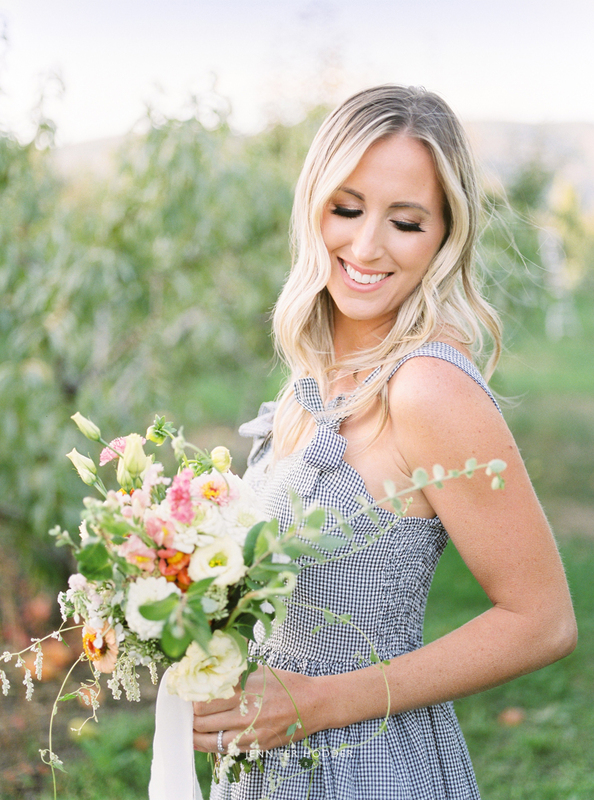 So freshly picked peaches, the perfect gingham dress and makeup done by none other then the super talented Bri Stein made for the perfect accents to this adorable orchard engagement shoot. 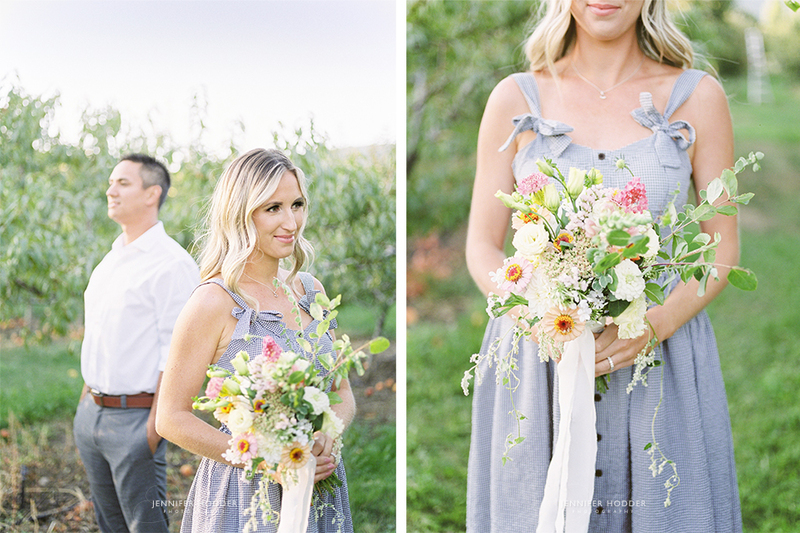 I made a “french market inspired” bouquet and I used floral stems picked fresh that morning from Lavender and Lace – this Kelowna florist grows her own flowers, people! 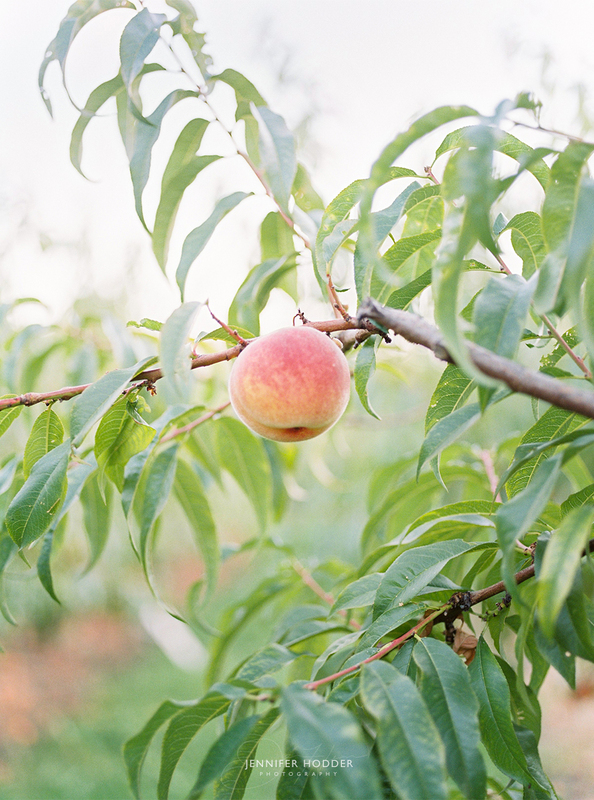 As soon as we arrived at Paynter’s Fruit Market our noses filled with the scent of sweet fresh peaches! The sun was just about to fall behind the mountains but we managed to grab some great film photos before all of the light disappeared. We spent most of the time wandering the rows of trees looking for the best peaches to pick and they were not just a prop! 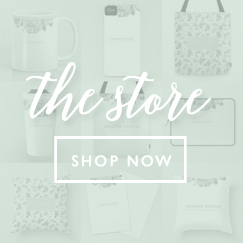 I brought all of our hard work home to can them… they may or may not already be gone. 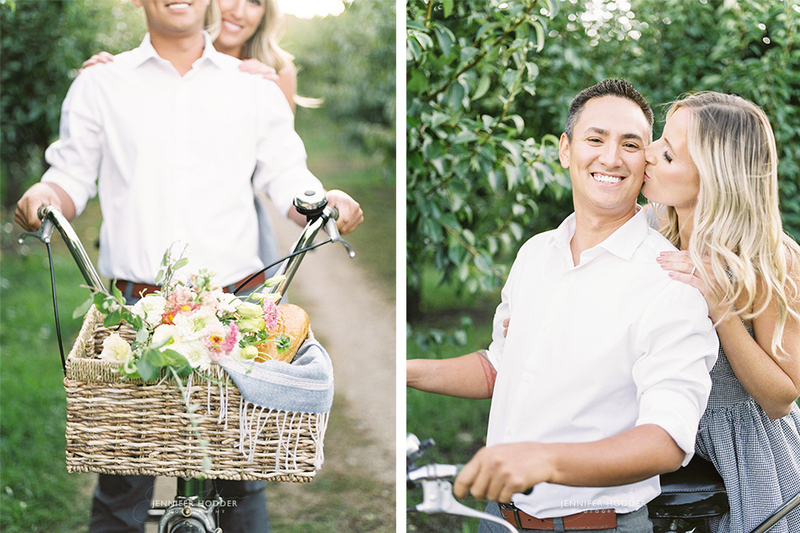 Near the end of the shoot Stesha & Stephen tried their luck with Vintage Origami’s vintage tandem bike down the winding orchard path. I’m not sure how viable a tandem bike would be for transportation but if I was going to bike anywhere I would want to do it with the one I love. 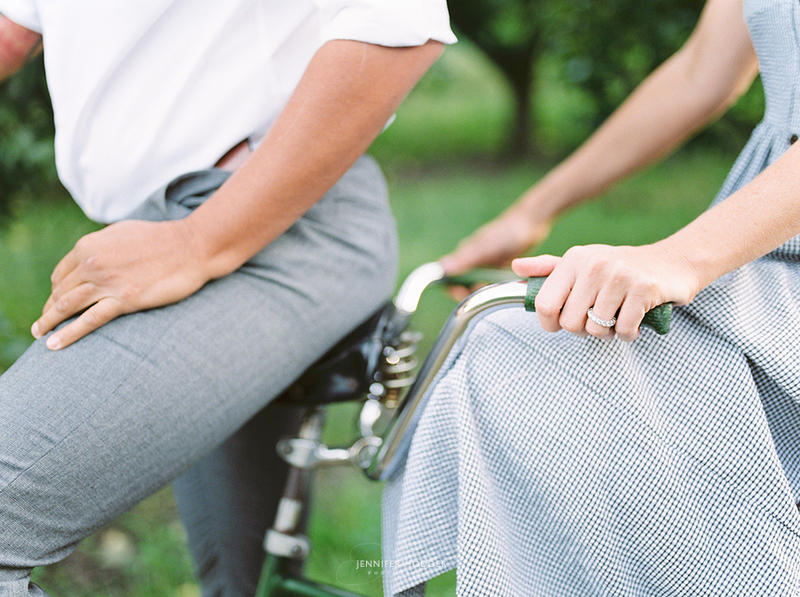 Plus if one of you gets tired the other can keep peddling… I think there is a marriage metaphor in there somewhere.